It’s getting colder, winter is starting to creep up and you figure your chile plants are done for. You don’t need to start new pepper seedlings each season if you understand how overwintering pepper plants works. Peppers are perennial and they just and need to stay away from severe cold (50 degrees Fahrenheit and below), frost and snow to survive each year. Oftentimes, pepper plants produce larger chillies in greater quantities when they are allowed to mature. With care, you may get your plants to live 10 years or longer! A common solution is to get your plants into pots, and then use a few key techniques to protect chillies — especially if you’re in a colder climate. Pruning helps your plants stay alive and go into hibernation so that they can store energy for the next growing season. Get a pair of clean pruning shears and cut off any lingering peppers. If they’re still green, you can leave them on the counter for a couple days to ripen up, or try eating them in the immature stage — you might like the flavor. Cut all the leaves off as well as any brown limbs that are dead. You want to leave the chili plant bare so that it just has its original “Y” shape. If your plants try to produce buds after pruning, pinch them back. 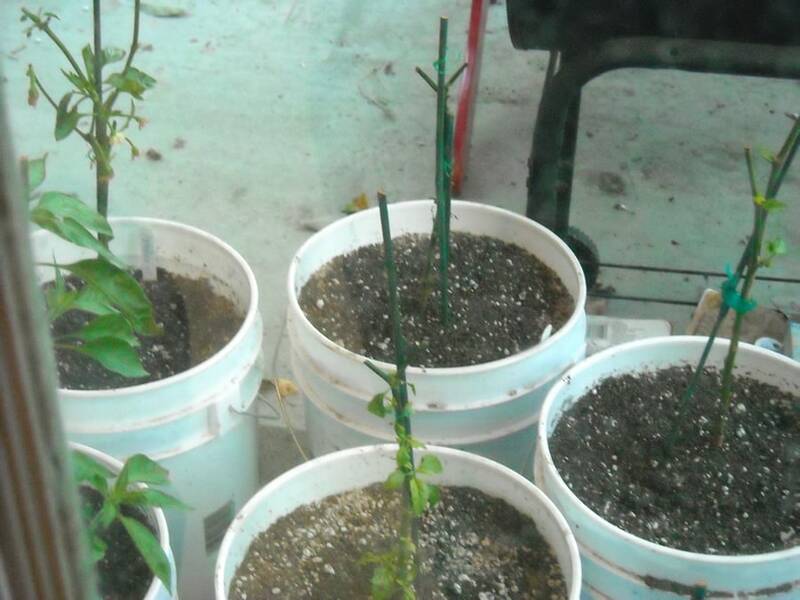 Keeping your pepper plants alive for more than one year means replenishing the potting mix. A new mix delivers fresh nutrients and removes any bad insects that might be present. Use the same mix and add fresh compost, potting mix or soil conditioner. The method you use depends on how many pepper plants you have. If you have a lot of plants, buying new mix can be costly! Dig out your chile plant and put it in a safe spot. I usually leave mine propped up against a wall or laying on the ground if it isn’t in danger of being trampled on. Trim the root ball and dispose of the old mix. Position your plant in the pot and water the soil well. Pour the old mix in in a clean container. Add compost and blend it in with the old mix. If you don’t have compost, you can add new potting mix. I usually use a ratio of 75% old mix to 25% compost or new mix. If using soil conditioner, such as Happy Frog, follow the instructions on the bag. Place your replenished mix and plant back in the pot. Ideally, you want your pepper plants indoors during colder weather. Before you do this, make sure any bugs are gone so you don’t end up with an indoor infestation. Spray the whole plant, including the top layer of mix, with an organic insecticidal soap until it’s drenched. Wait about 5 minutes, and then spray water over the plants to wash the soap away. Leave your plants outside for a day, and if you don’t see any bug activity, you can bring them inside. A desirable indoor temperature for hibernating peppers is between 60 to 70 degrees Fahrenheit, and never below 50 degrees Fahrenheit. Look for available spots in a covered garage, basement or spare room. My pepper plants increase each year and I don’t always have enough indoor space. What I do is put them under a covered patio to give them shelter. At night, I just cover all the plants with a frost blanket or floating row cover to keep them warm, and then remove the blanket in the morning. As far as lighting, your plants can survive if they’re situated next to a bright window. Otherwise, add some fluorescent bulbs or grow lights a couple of inches above the pepper plants to keep them going. Continue to watch for insects, water your chile plants when the soil gets dry (my plants like a once a month watering when they’re being overwintered). Put them back outside when the temperatures consistently stay above 50 degrees Fahrenheit and the threat of frost has passed. Also, be especially diligent about watching for bugs and disease when you first put them back outside. We’d love to know what you think of this tutorial in the comments below — thanks!